On March 23, 1979 at Florian Hall, Hallet Street, Dorchester, MA, a meeting of the rank and file Detectives of the Boston Police Department was held (all but three (3) detectives were in attendance). This meeting was the first of many to establish a “social group” and what is known today as the Boston Police Detectives Benevolent Society. Many discussions were held at this meeting regarding the formation of the Boston Police Department Detectives forming a “social group”. A motion was brought to the floor and voted on to form the Society. A governing body of Detectives was appointed until an election could be held. Detective Robert Chenette, Organized Crime Unit was appointed as the first President of the Society. Detective Donald Vernerin, Intelligence Unit, was appointed Vice President. Detective Jack McCormack, Vice Control Unit was appointed Treasurer. Detective Eddie Miller, Suffolk County District Attorneys Office was appointed Secretary. The first Board of Directors was also appointed Detective Frank Sheehan, D4, Detective Stephen Murphy, DCU, Detective Richard Driscoll, D4, Detective Salvatore DeLuca, D3, Detective Joseph Carr, ID, and Detective Robert Cunningham, TPF. The Boston Police Detectives Benevolent Society was registered with the Secretary of the Commonwealth of Massachusetts. BPDBS with a mailing address of PO Box 320 in Jamaica Plain. The Motion was voted on and affirmed with one opposed vote by Roy Prout. After the formation of the “social group”, in May 1979 the BPPA, which members were still a member of had encountered some hostility from the BPPA then President, Chester Broderick. This animosity led to a formal vote to leave the BPPA, and on April 5, 1982, by secret ballot and with 167 votes cast and 150 of those ballots being cast to officially form the Society, 14 votes in opposition, 2 voided votes and 1 blank vote. Boston Police Detectives succeeded from the BPPA. With the newly formed Society, the Superior Officers with the rank of Detective, who were members of the Superior Officers Federation, discussed leaving the Superior Officers Federation. A letter to then appointed President Daniel Mahoney stating their interest in being a separate division under the BPDBS. President Daniel Mahoney then sent a petition to the Labor Relations Board on behalf of the Superior Officers with the rank of Detective requesting that the BPDBS become the collective bargaining agent of the Superior Officers with the rank of Detectives (Captain Detectives, Lieutenant Detectives, Sergeant Detectives). In September 1982 an election was held for Officers and Directors and Representatives of the newly formed Society. Detective Daniel Mahoney, D4 was elected the first President, Detective Garrett Flanagan, Arson Squad; Vice President; Detective Robert O’Reilly, Area E, Secretary; Roy Prout, DA’s Office Treasurer. Also, elected was a Board of Directors, Joseph Lundbohm, C11; and Frank DiNatlai, C11. Along with the Board of Directors, Representatives from various areas of the City were also elected, Robert Chennette, DA’s Office; Charlie Carroll, Area A; Tommie Montgomery, Area B; Jerry Langston, Area C; Jack Parlon, Area D; Frank Sheehan, Area D; Richard Driscoll, Area D; William McGuiness, Area E; William Cannon, Area E; Robert Maloney, Auto Squad; Peter McDonough, CID; John Ridlon. After the rank and file Detectives succeeded from the BPPA and formed the Boston Police Detectives Benevolent Society (BPDBS) the Detective Superior Officers, which consisted of the rank of Captain Detective, Lieutenant Detective and Sergeant Detective and were members of the Superior Officers Federation, had a meeting to discuss the advantages of forming a separate division under the BPDBS. With 100% of the Superior Officer Detectives in support of merging with the Society, a petition was signed by Captain Detective Walter Casale, CID; Detective Sam Abany, D14; Detective Louis Scapichio, Lt. Detective, William F Sweeney, IAD; Lt. Detective Joseph Dunford, Area A; Lt. Detective Arthur Kelley, Homicide; Sgt. Det. Alexander Savioli, D4; Sgt. Detective Arthur McNamara; Sgt. Det. Sydney Goodman, Academy; Sgt. Detective, Frank Mulvey, D4; Sgt. Detective Joseph Kelly, Homicide; Sgt. Detective Nick Maffeo, B2; Sgt. Detective Steve Delosh, VCU; Sgt. Detective Steve Murphy, Homicide; Sgt. Detective Al Bornstein, Homicide Unit; Sgt. Detective William Johnston, CDU; Sgt. Detective James Bradbury, Crime Lab; Sgt. Detective Daniel Lovett, ID; Sgt. Detective Russ Childers, Area E; Sgt. Detective Edward Simmons; Sgt. Detective William Kelley, Auto Squad; Sgt. Detective John Doris, DCU; Sgt. Detective Brendan Bradley, DCU; Sgt. Detective Robert Ryan, DA’s Office; Sgt. Detective Gilbert Griffiths, DCU; Sgt. Detective Frances M. Roache, Community Disorders Unit; and Sgt. Detective Edward McNelley, VCU. Almost a year later the City of Boston formally recognized the Society as a union and the exclusive representative for the Collective Bargaining rights of the Superior Detectives. 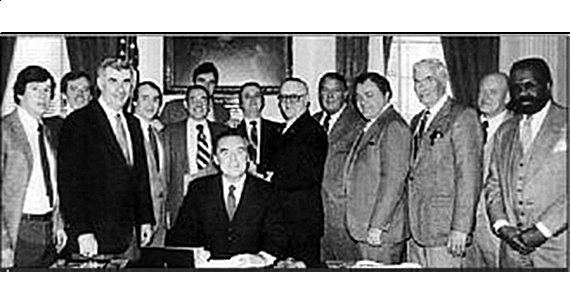 On July 5, 1983 the first bargained and signed contract for the Superior Officers division of the BPDBS. Representing the Society and formally executing the agreement were BPDBS President, Daniel Mahoney, John Carey, Al Savoli, Walter Tower, and BPDBS Attorney Michael Muse. After a By-Law change, Gilbert Griffiths became the first Vice President of the Superior Officers division of the BPDBS.